ursery & cafe and various restaurants. On street parking is available free at all times, the most of which has no restrictions. 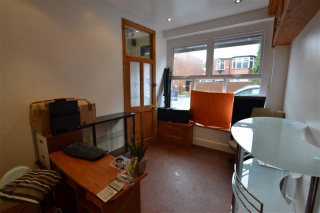 This property has been extensively modernised and improved in recent years and offers a very useful little shop to the ground floor with its own toilet facility to the rear and being completely self contained is capable of being let with the owner of the property occupying the living accommodation. 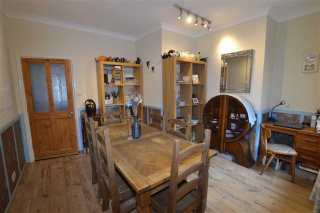 The very well presented living accommodation offers a good sized dining room with modern kitchen and utility room with wc to rear, a sitting room on the first floor which could provide an additional bedroom if required and the existing bedroom with fitted wardrobes has an en suite bathroom/WC. Enclosed staircase leads to the second floor which provides an additional bedroom with its own en suite shower/WC. To the rear is a walled courtyard with shed. 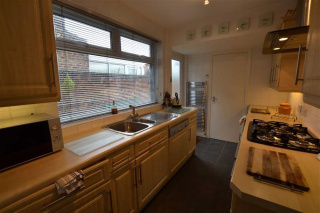 The property is adaptable for many uses and offers PVCu double glazing and gas central heating. With PVCu double glazed display window having an externally operated metal shutter. Cental heating radiator and ceiling down lighters. Door to side entrance passage. With laminate flooring and stairs to first floor. Into the recess with coved ceiling, laminate flooring and glazed door into the Kitchen. This room could be brought back into retail if required. Being fully tiled with white suite of washbasin and WC, plumbing for automatic washing machine, tiled floor and extractor fan. With understairs cupboard and enclosed stairs to second floor. 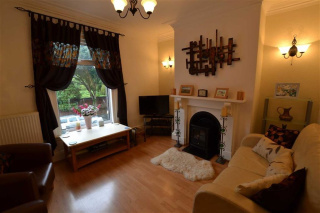 With moulded cornice, period fireplace in surround, fitted wall lights and laminate flooring. Being fully tiled with white suite of panelled bath, vanity wash basin and wc. Illuminated wall mirror and ceramic tiled floor. Being fully tiled with white suite of washbasin , WC and shower enclosure with electric shower. Wall mirror with strip light/shaver socket over and tiled floor. 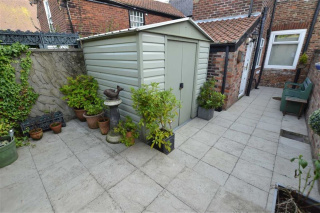 Enclosed fully paved walled courtyard to the rear with metal shed. 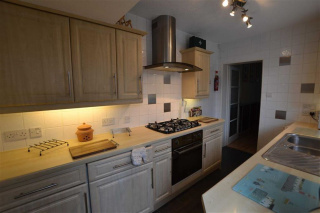 Note: The living accommodation was a successful Holiday Let from 2008 to 2014.